Why beat a dead issue that most voters don’t care about? The weirdest thing about the GOP’s on going obsession with Benghazi is that it plays into the Democrats hands going into the Midterms. The Democrats will mock Republicans about their obsession with an event from two years ago, trying to manufacture a scandal in defiance of the actual evidence. The Democrats will talk about jobs, health care, inequality, immigration, education, the economy and issues that actually matter to the public. Think back – Bill Clinton did give the Republicans a scandal over Monica Lewinsky. Yet as they obsessed on it and thought that self-evidently this would help them, Clinton’s job approval ratings went up — while Lewinsky investigator Kenneth Starr’s went way down. In this case, there isn’t even a real scandal! 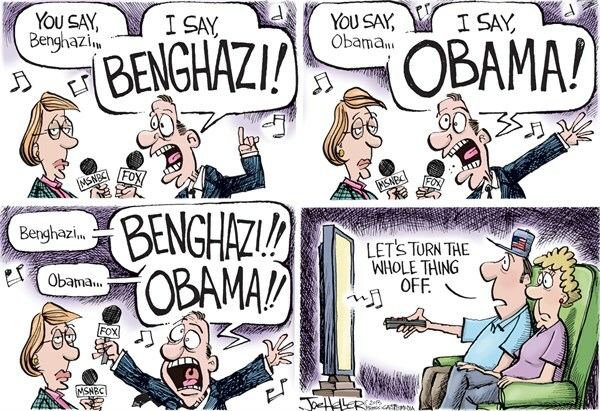 So why do some on the right fixate on Benghazi in such a self-destructive manner? There is no evidence of a cover up, nothing remotely suggesting a scandal. There is evidence of poor decisions being made, and a State Department slow to understand what motivated the events. Therein lies the real reason – the State Department. The Secretary of State at the time was Hillary Clinton. She is now the leading contender for the Presidency in 2016. Most Republicans privately concede that it will be very, very, difficult to defeat her. As Secretary of State, Clinton was taken aback by the way in which Congressional Republicans quickly politicized the Benghazi tragedy. On September 11, 2012, the US embassy in Benghazi was attacked by 125 to 150 armed insurgents, who were able to kill US Ambassador Christopher Stevens and one other person. Protests were taking place against an anti-Islamic video that had been released, and initially the CIA thought the two events were linked. As more information came out, it became clear that it was a planned terrorist raid. The US has made some arrests, and investigations continue. So what’s the scandal? At first Republicans said that Susan Rice, US Ambassador to the UN, had lied in linking the video to the attacks in an interview shortly after the raid. They claimed she wanted to mislead the public about the true nature of the attacks in order to help President Obama’s re-election. That claim has been completely debunked, and in fact was absurd on its face. 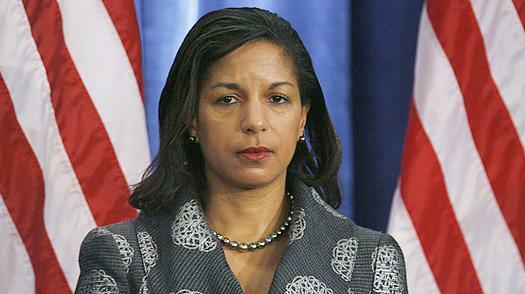 Not only had President Obama called it terrorism, but Susan Rice was acting with the data at the time in a fluid situation, and indeed alluded to the possibility of terrorism. Much like after 9-11, there was a lot of false information early on, though after a week a clearer picture occurred. As documents were released, it was clear that various agencies were confused on exactly what happened and why, but that as soon as they put the pieces together, the information was made public. Not only is there no evidence to support a cover up, but massive evidence to the contrary. So then they tried to shift the scandal to saying the US didn’t reinforce the mission, or send help fast enough. Quickly these were debunked. The critics are left to imagine scandal by fantasy, hoping there is some new information out there. So why suddenly jump on an innocuous e-mail uncovered, which doesn’t contradict any existing evidence, to bring the scandal back up? Surely the GOP insiders know that this isn’t a winner for them with the voters – and they have to be smart enough to know that no scandal exists. They are hoping that Clinton decides not to run for the Presidency, perhaps fearing that questions on Benghazi will haunt her. In that, it is morphing from a GOP effort to find a scandal against Obama to an attack on Clinton’s competence. Any hearings that are held will focus on picking apart what the State Department did and finding anything to criticise. Even the fact she was not consulted on security before the attack is used against her – “in such a dangerous situation why weren’t you more engaged?” But it would be odd for the Secretary of State to be consulted on specific security details. It won’t work. 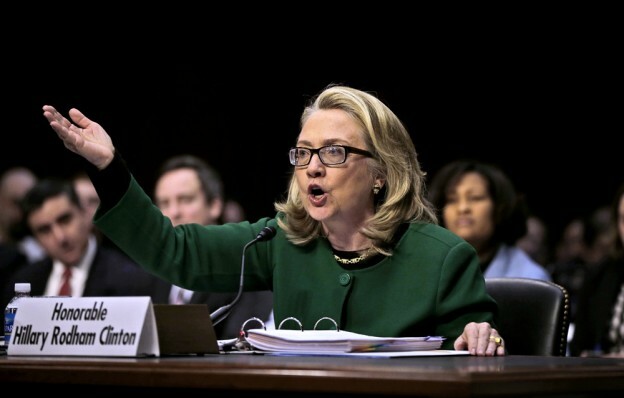 The GOP will not convince Clinton to eschew running in 2016. If anything this will get her more enthused; she’s not the kind of person to back down. She’s also smart enough to know that if the GOP use this against her in 2016, it gives her openings to fire back in ways that would help, rather than hurt her campaign. Hillary in 1996 before testifying on the Whitewater scandal. She’s also not afraid to confront scandal head on. In the early years of her husband’s administration the far right tried to drum up a scandal about development deal called “Whitewater.” They failed. When she suffered personal loss when her attorney Vince Foster committed suicide, they said she had him killed. When US Treasury Secretary Ron Brown was killed in a plane crash in Croatia, many said she was behind it. Hillary’s dealt with the crazies before, and came out on top. But that’s what this Benghazi side show is about – trying to pressure Hillary not to run. When she does run, they’ll use it try to tear her down. It won’t work – she’ll win or lose based on the larger campaign. Yet it is sad that so many are willing to politicize the attack. To me the correct response is to try to learn what went wrong and how to prevent a future attack than to use 20/20 hindsight for political gang. Even more disgusting is the effort to try to turn this into a scandal. That shows just how dysfunctional the political culture in Washington has become. This entry was posted on May 5, 2014, 12:46 and is filed under Al Qaeda, Barack Obama, Foreign Policy, Hillary Clinton, Libya. You can follow any responses to this entry through RSS 2.0. You can leave a response, or trackback from your own site. One truly bizarre thing, in my mind, is that we are rapidly approaching a point where we will have spent more time investigating Benghazi than we did investigating the 9/11 attacks. There were 13 consulate attacks under Bush, not one of which got bogged down in a protracted investigation…or, for that matter, any investigation. So it has to be political, and they clearly want to convince Hillary not to run. Everything we know about her, though, suggests this will only encourage her. Quite frankly, it’s fascinating to watch.